Calling all LGBTQ+ artists who are junior high through high school age! In 2019, we honor the 50th anniversary of the Stonewall Inn Riots in New York City which paved the way for the LGBTQ+ rights movement. Since then, our community has continued to work hard and fight for LGBTQ+ rights and equality. 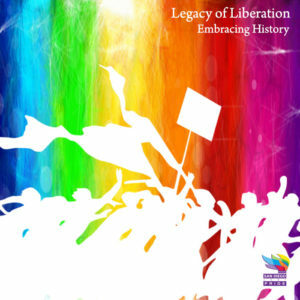 That is why our youth have selected “Legacy of Liberation: Embracing History,” as the theme for year’s youth art show. Youth artists are encouraged to interpret the theme from an LGBTQ youth lens. How has the legacy of the Stonewall riots changed our community in your eyes? What is the legacy of liberation that you want to leave? The San Diego Pride office will be opening their doors to feature art by local LGBTQ+ youth artists. San Diego Pride, Art of Pride, and the Trevor Project are partnering to create a platform to showcase young local LGBTQ artists. Art is a positive form of expression, and we welcome the opportunity to help our youth share their stories with family, friends, faculty and the community. Workshops will be made available for those who want to participate, but don’t have a space of their own to create their vision. If you or anyone you know is an LGBTQ+ artist currently enrolled in junior high through high school, please fill out the form below to be included in the art show.